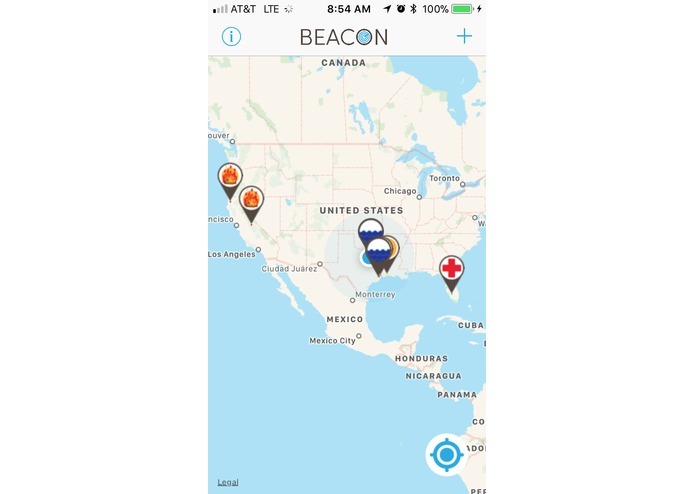 Beacon is a location based alert system to notify users when they are approaching important events or hazards. Beacons main screen allows the user to overview local beacons from all the subscribed channels. The channel info list gives the user more information about a particular channel including a description and overview of current beacons. The channel list will let users see all established channels that they have access to subscribe to. 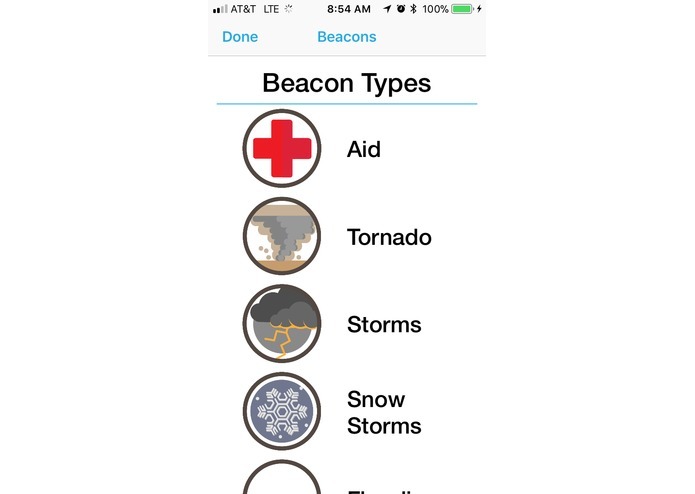 This screen gives information on what each of the beacon communicate. 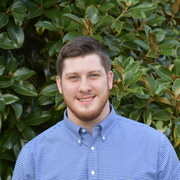 The user does not have to keep the app open in order to receive potentially life saving notifications about hazardous areas. We set out to improve disaster relief efforts in emergency situations. It was our mission to improve the communication of important areas such as aid centers or hazardous areas. 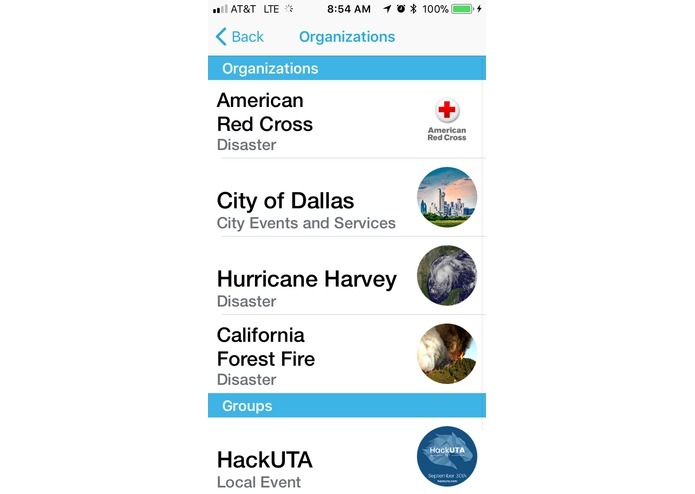 We pushed to develop a reliable disaster management tool that would connect volunteers with citizens affected by disaster situations. 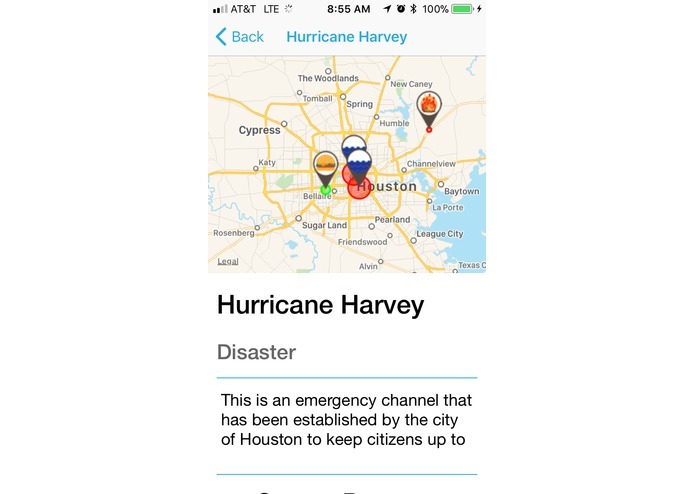 During our development we realized that Beacon has various applications outside of emergency relief. 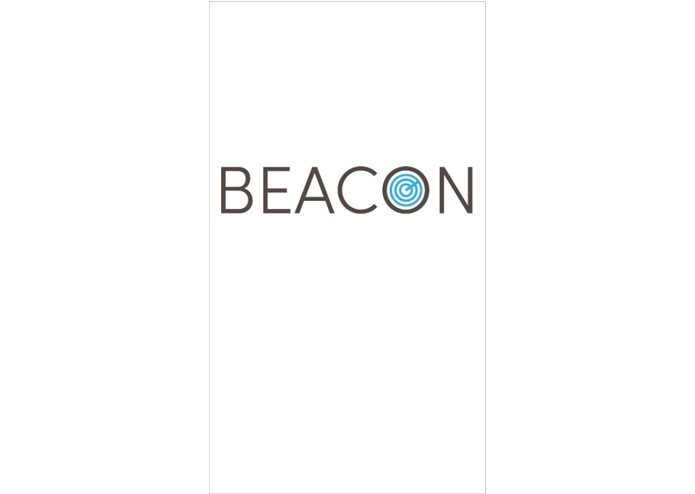 Whether its communicating parking availability or the next workshop at your local hackathon, Beacon is a viable logistical tool. 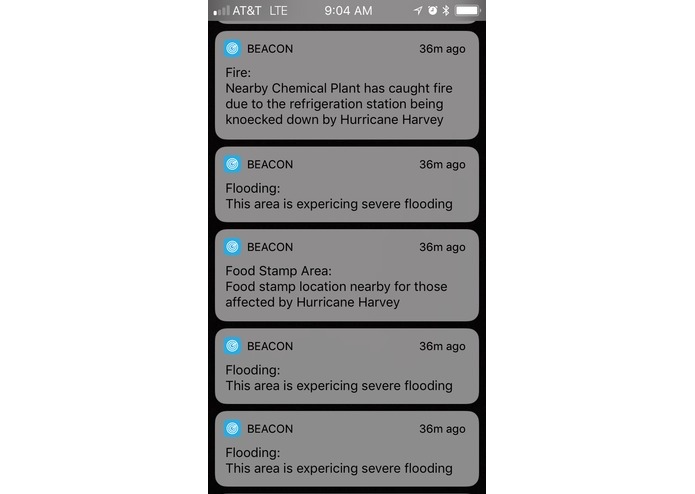 Beacon gives location based notifications to users that are approaching or leaving areas of importance. Such areas include hazardous areas that include flooding, storms, tornados, heavy snow/Ice, and other unexpected dangerous situations. Important areas can also include helpful services such as disaster relief centers, shelters, and information services. 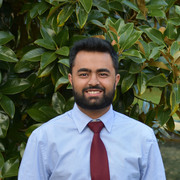 Among these applications, Beacon can also be used to as a tool for communication at college campuses, fairs, and other public events.